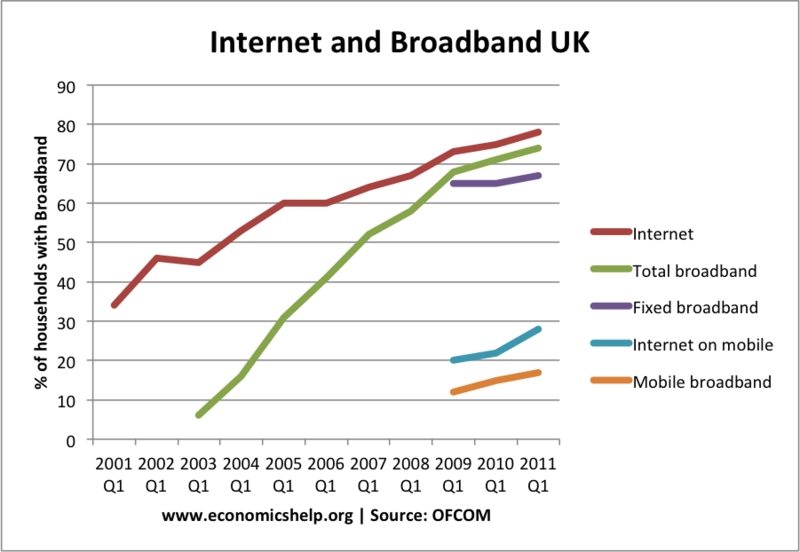 Broadband access in the UK. Also showing different access points to broadband. 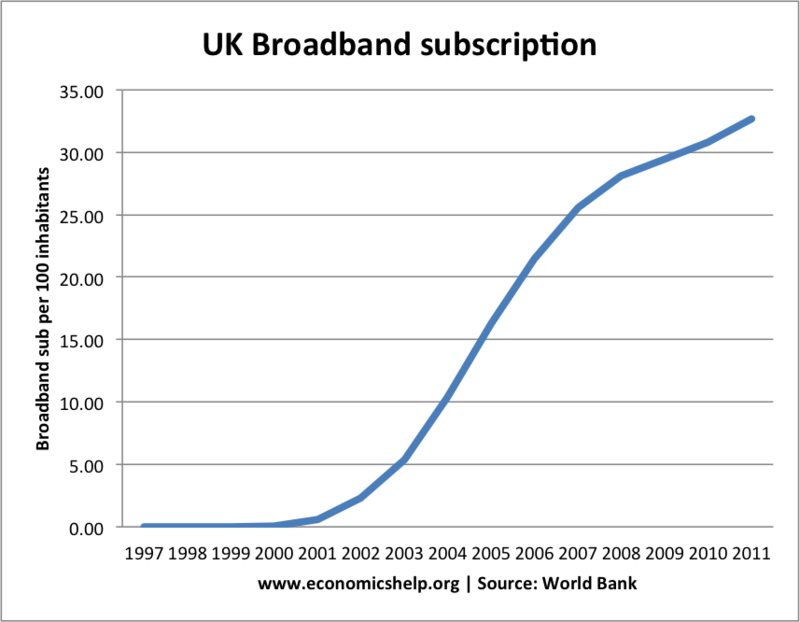 In the space of less than 10 years, Broadband access has come to be seen as a vital public amenity. It is used for business, retail and is increasingly seen as one of the factors which can show the degree of economic development in an economy. 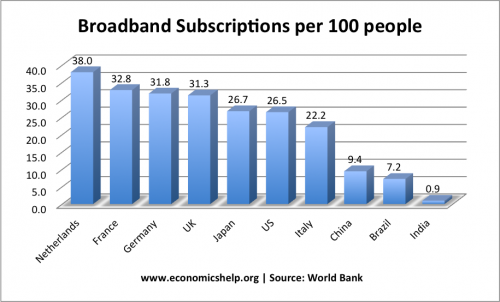 Also, in a fast moving market, there has been a strong growth of mobile broadband, as people increasingly check the internet from their own smart phones. With 20% of UK households still not receiving broadband, the government has announced policy measures to support the rolling out of broadband in rural areas. From 0 in 2000, there was exponential growth 2000-2006. Interestingly has a very similar product life cycle to mobile phones. Quite a difference between the Netherlands and Italy – both in the EU, but Netherlands has nearly double the number of subscriptions. An EU committee recently approved plans to bring speeds of 100Mbps to every home and business in Europe by 2020, with 1Gbps capabilities to be available to 50 per cent of EU households by the same point. Broadband subscriptions includes – digital subscriber line, cable modem, or other high-speed technology. This entry was posted in economics and tagged stats, technology. Bookmark the permalink. ← Why Do People Not Notice Economic Growth?